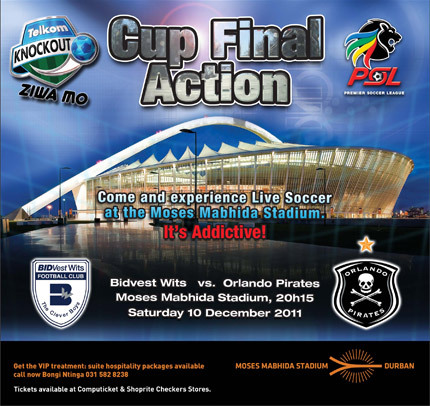 Get ready to welcome Bidvest Wits and Orlando Pirates to Durbs and see who takes home the cup – it promises to be quite a clash of the Gauteng giants. 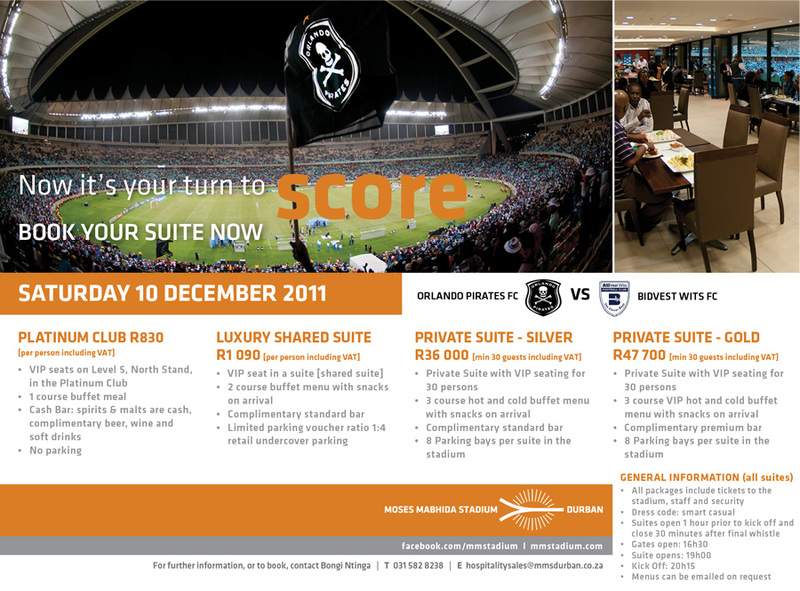 Luxury suite packages available call Bongi Ntinga on 031 582 8238. Stand tickets will be on sale through Computicket and Shoprite soon. We’re also giving away 5 pairs of stand tickets so get over to our Facebook page to find out more.